The Great Yarmouth Archaeological Map project is working with several organisations, helping to conduct research into the use of archaeological sciences to examine urban archaeological remains. The Department of Archaeology are using soil micromorphology to examine some of the undisturbed samples recovered. Soil micromorphology is a method of looking at the microstructure of a soil (or a sediment, in the case of Great Yarmouth, as many of the deposits are not true soils) to uncover details that would not be visible otherwise. 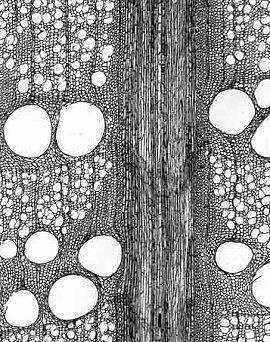 Micromorphology can be used to identify sequences of occupation and abandonment of structures, to identify soil and sediment types, and to examine the preservation conditions that exist at varying depths throughout the soil column. Knowledge of the preservation conditions in an area helps archaeologists plan the best method of preserving archaeological material in situ, and to plan the best methods of excavation, should it be necessary. For more details about soil micromorphology, see Geoarchaeology in Action, by Charles French (published 2003, by Routledge, London). Ground penetrating radar works in the same way as radar in an airport works: the instrument sends out a beam of radar waves, which travel through the ground, then bounce off of layers and objects, back to the receiver. The radar signals received can be fairly complex, but are processed mathematically to reveal information about what is underneath the pavements. Almost all of the GPR done in archaeology is carried out using the common offset method. 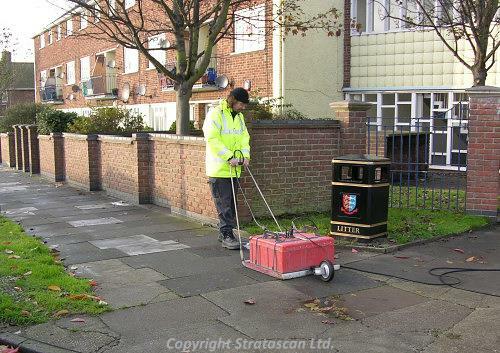 We have been working with Peter Barker of Stratascan Ltd. to investigate the use of GPR in urban areas to track deposits. We have recorded data in the Friars Lane area of the town, using 200MHz antennae (fairly low frequency, for archaeology). The data were calibrated using one of the borehole logs, and we are analysing the data to see if we can map the extent of archaeological deposits. 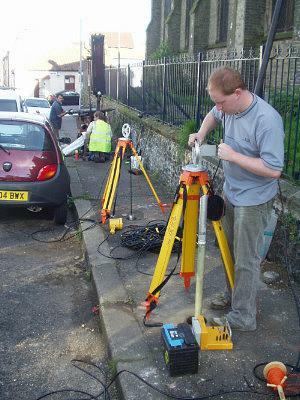 We are working with Adam Booth, of the School of Geography at Leeds University, on different ways of collecting GPR data. Adam has been experimenting with multi-fold data collection (where the distance between the transmitter and receiver is changed), and with looking at GPR between boreholes. Check out his website for more information. The waterlogged wood recovered from boreholes has been sent to Caroline Cartwright at the Department of Conservation, Documentation and Science at the British Museum. Species identification and tool mark analysis will be carried out using an optical microscope (as opposed to an electron microscope). For more information on optical microscopy (and other analytical techniques), have a look at the Department's website. All of the worked wood fragments recovered from the Great Yarmouth Archaeological Map fieldwork were oak (we also recovered pieces of ash and hazel, but these did not show evidence of working). 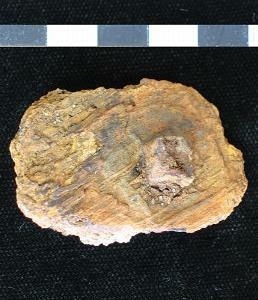 Pieces of iron found along with some of the waterlogged wood were too corroded to identify in detail. Removing the corrosion products would destroy the object, and not tell us what shape the objects were. Instead, they have been sent for X-ray analysis. 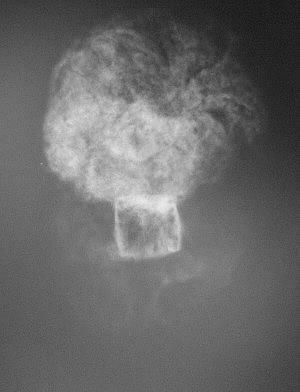 X-ray photographs of the objects show us their original shape and may show some details about how they were made. In this instance, the shank of the nail is joined onto a nail head. The matrix of the object contains another high density object adjacent to the nail head: possibly another nail head. Traces of the wood that the nail was hammered through survive preserved by the corrosion products of the nail. As the nail rusted, the rust formed around the wood structure. When the wood decayed, it left a negative image of itself in three dimensions in the remaining corrosion products. Two of Great Yarmouth's twelfth century structures, St. Nicholas Church and the Tolhouse, are open to the public. The third, an undercroft in Howard Street, is privately owned. As part of the Great Yarmouth Archaeological Map, the undercroft was scanned using a 3D scanner. 3D scanners work by firing a laser and measuring how long it takes for the laser to be reflected. That way, the scanner knows the distance and the direction. It moves the laser along a little, then repeats the exercise. This way, it builds up a set of known points in space (a point cloud). The point cloud can be used to create a surface: an exact, measured, 3D model of the surveyed area.